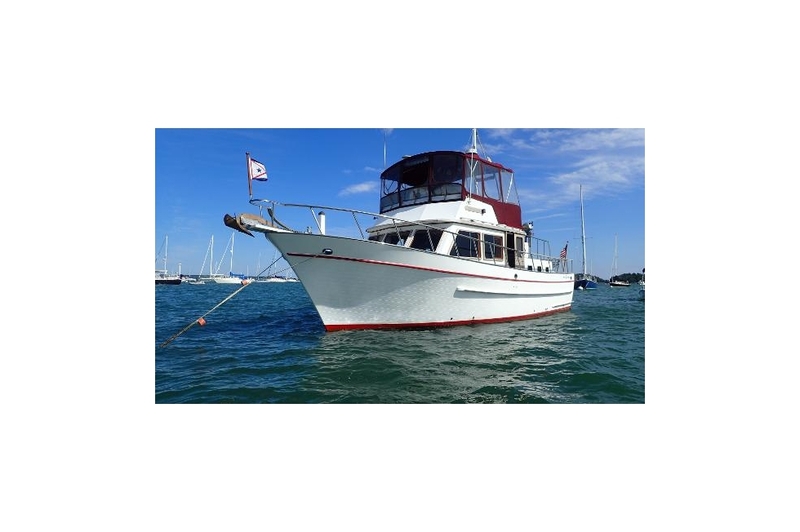 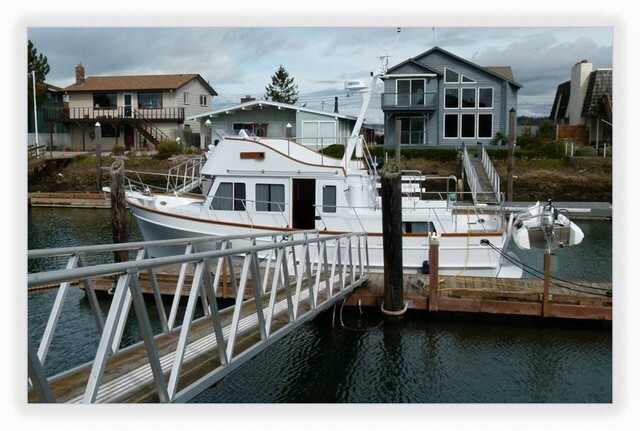 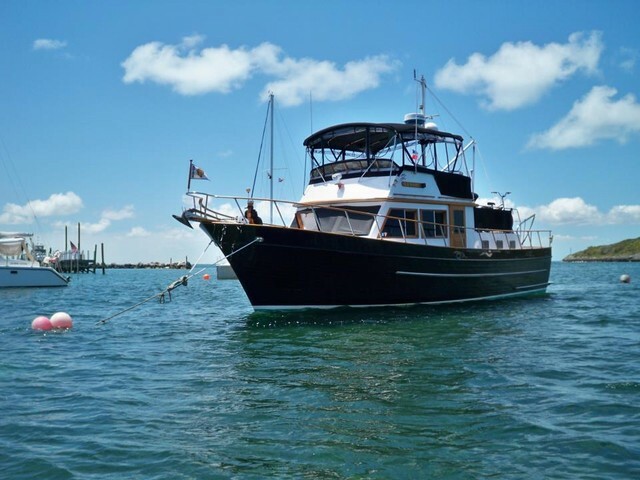 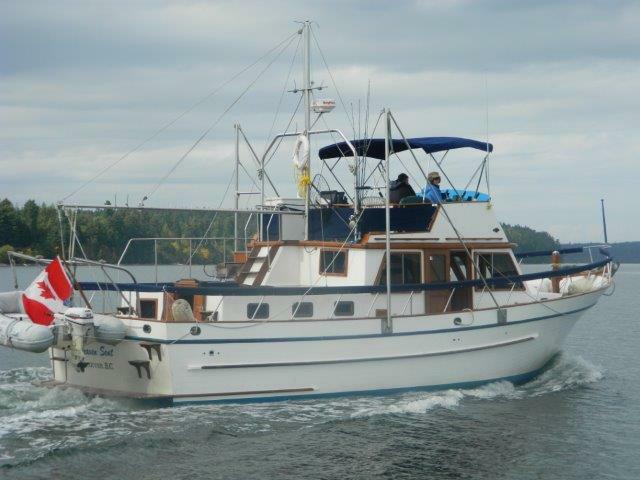 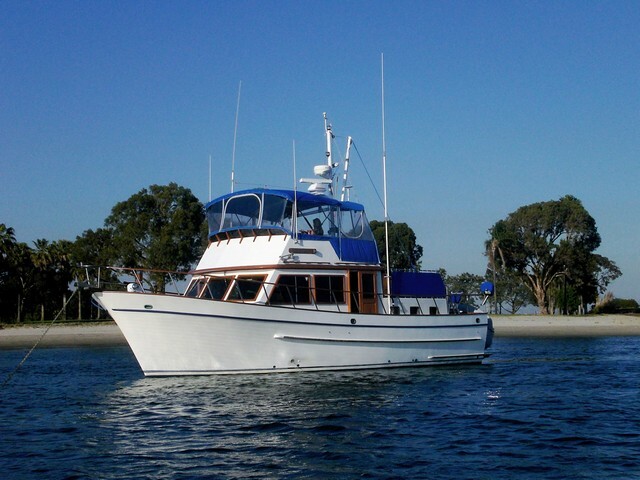 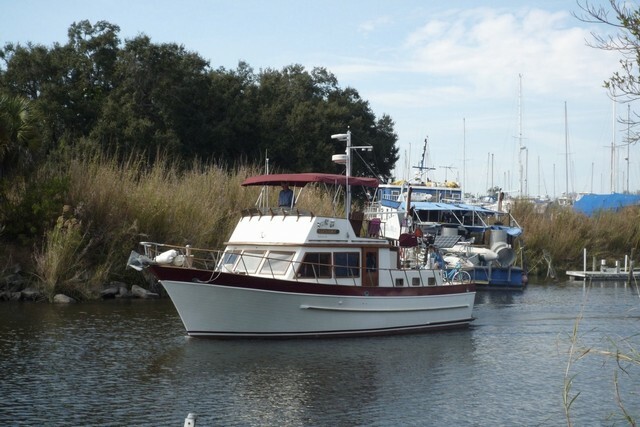 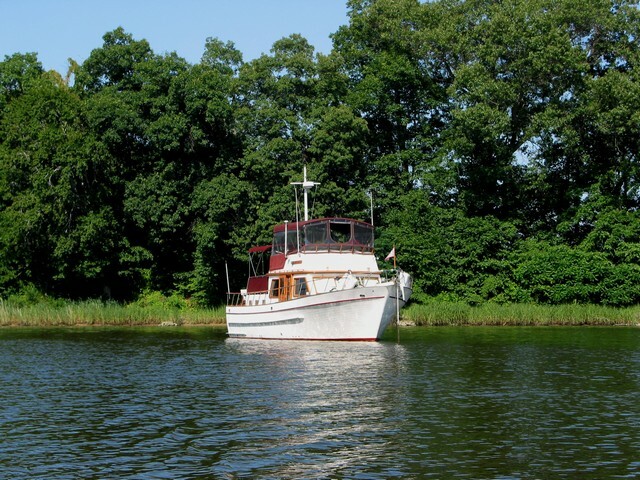 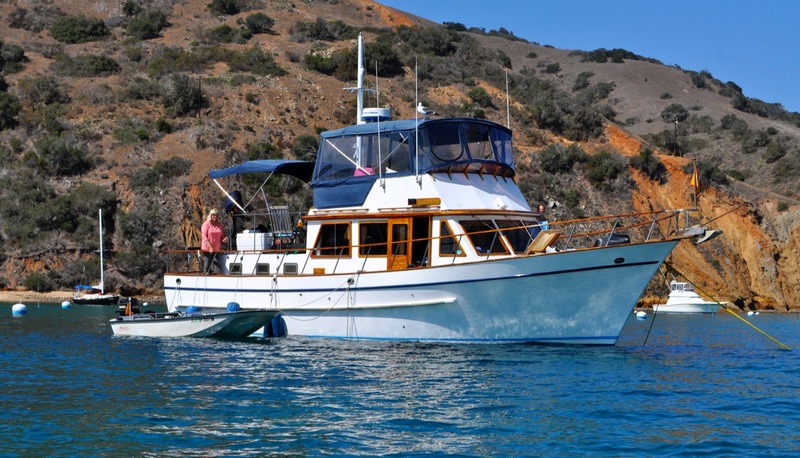 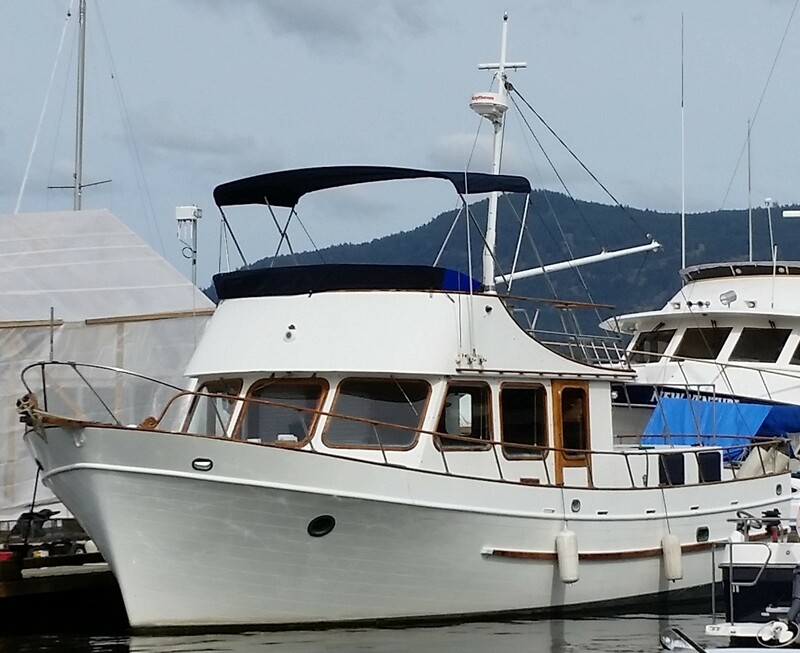 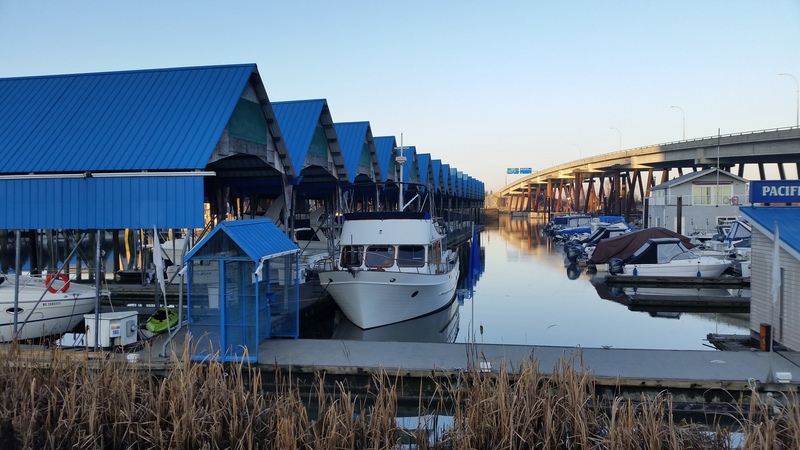 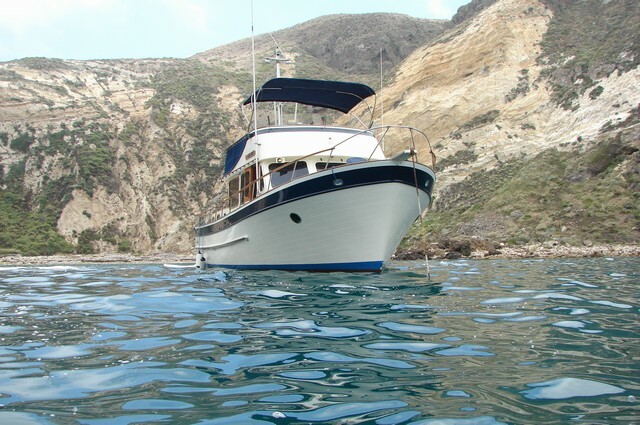 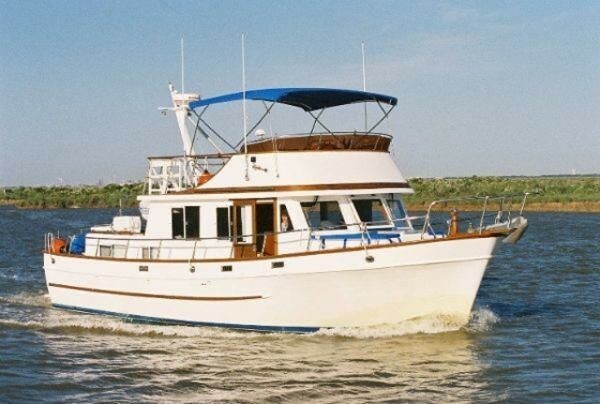 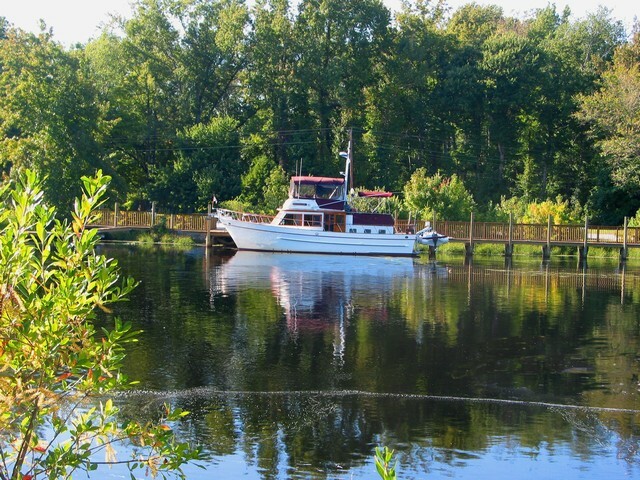 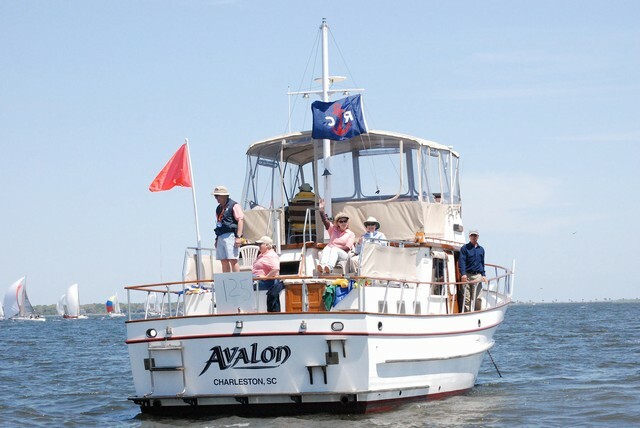 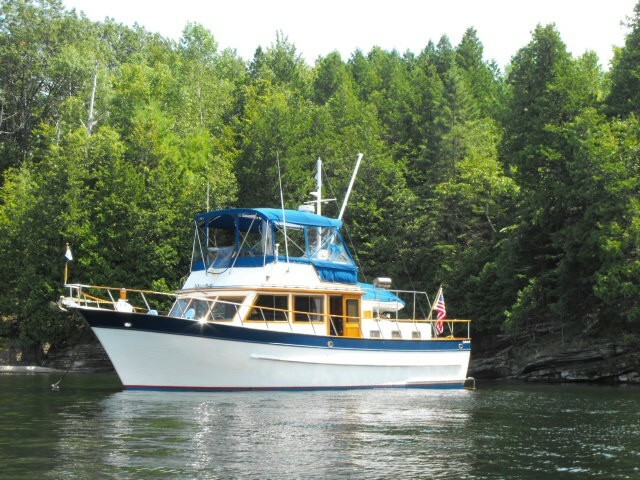 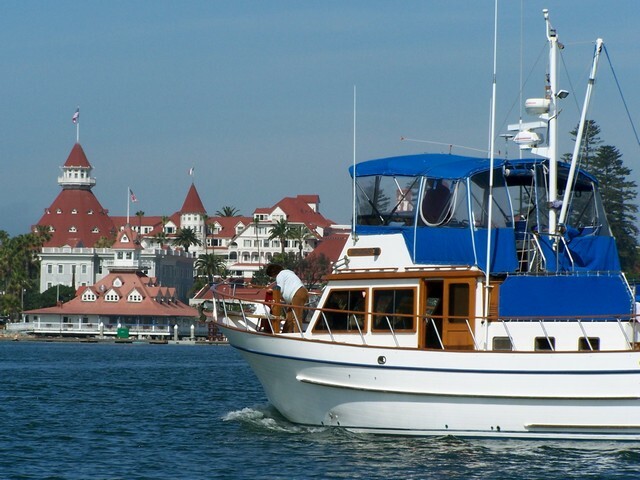 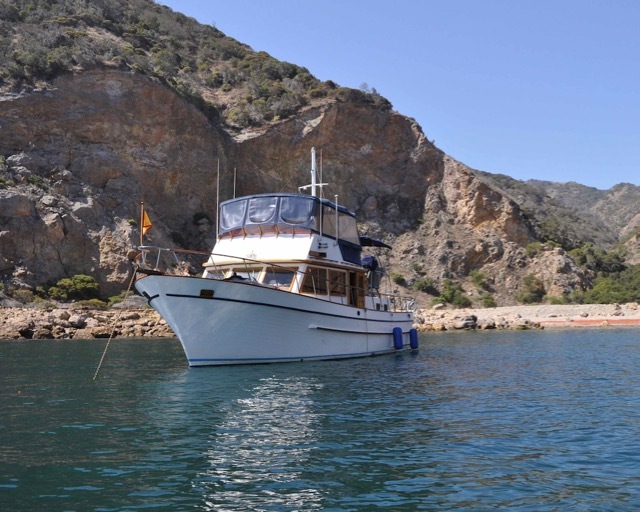 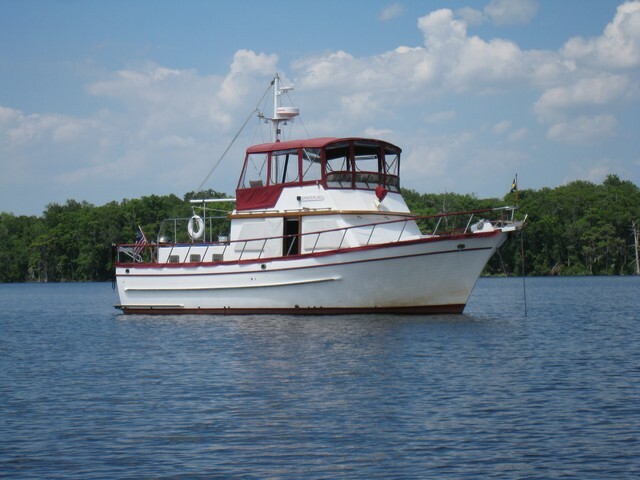 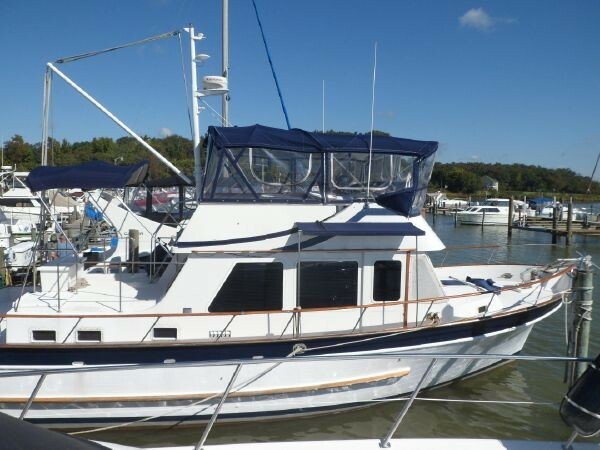 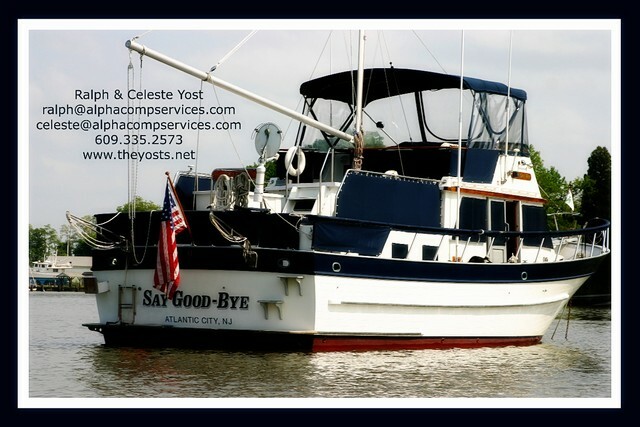 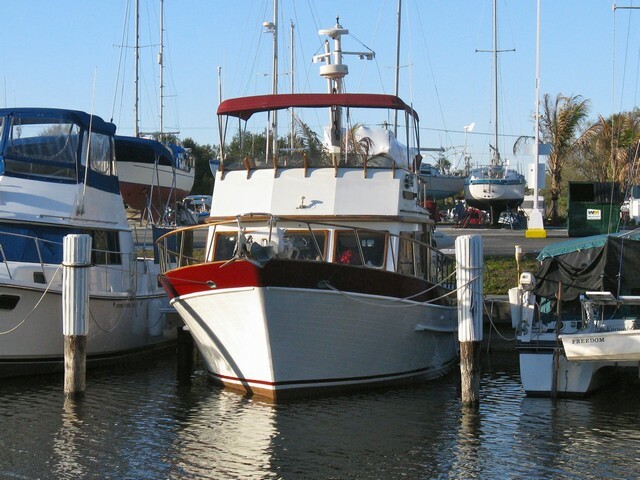 A popular single-engine cruiser with two staterooms, each with private head. 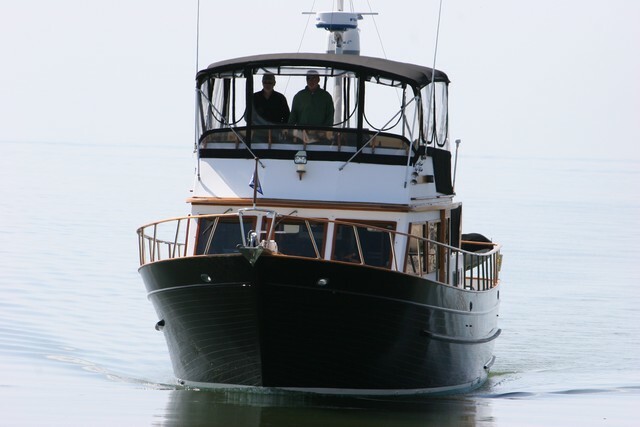 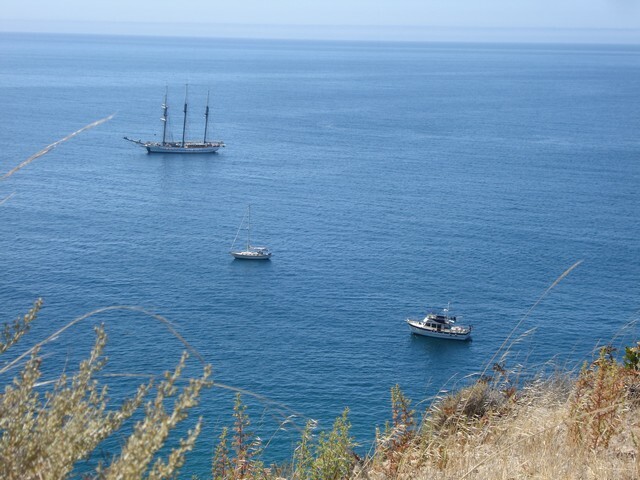 Comfortable and efficient at 7 knots on 2.25 gph. 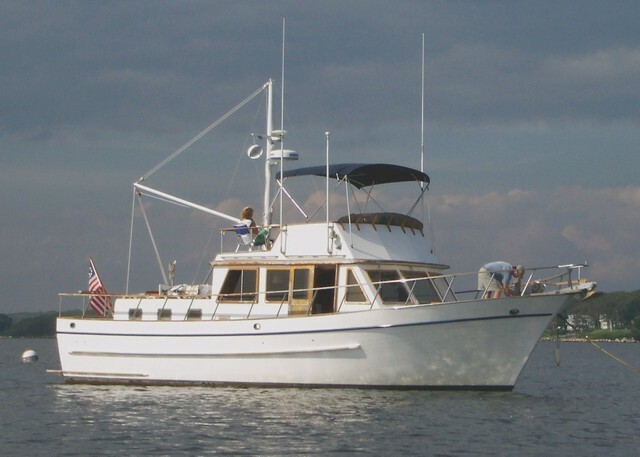 No longer in production but a popular resale model. 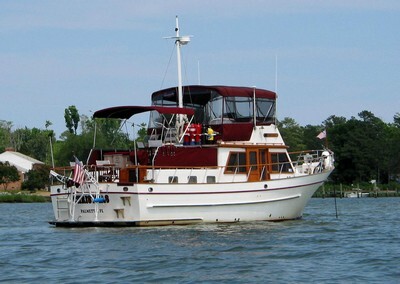 The two staterooms are separated by the engine room for privacy. 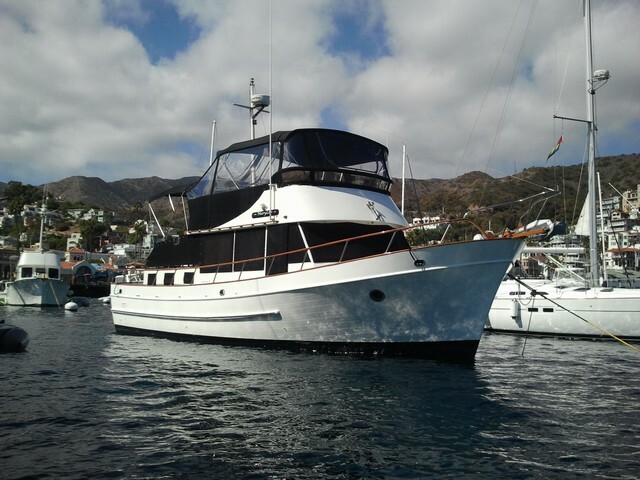 And the master stateroom aft even has a bathtub on some models! 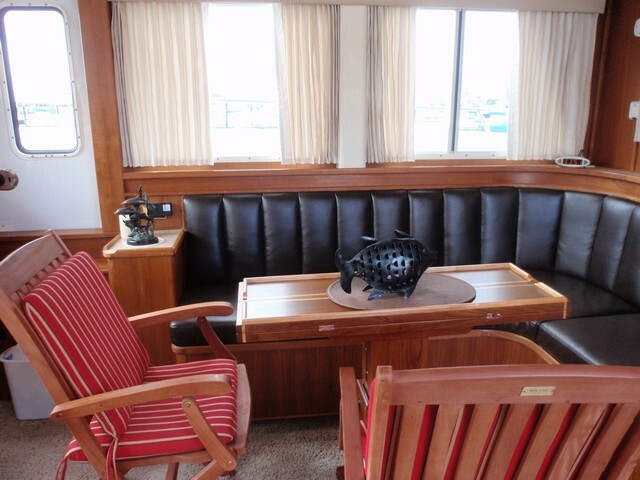 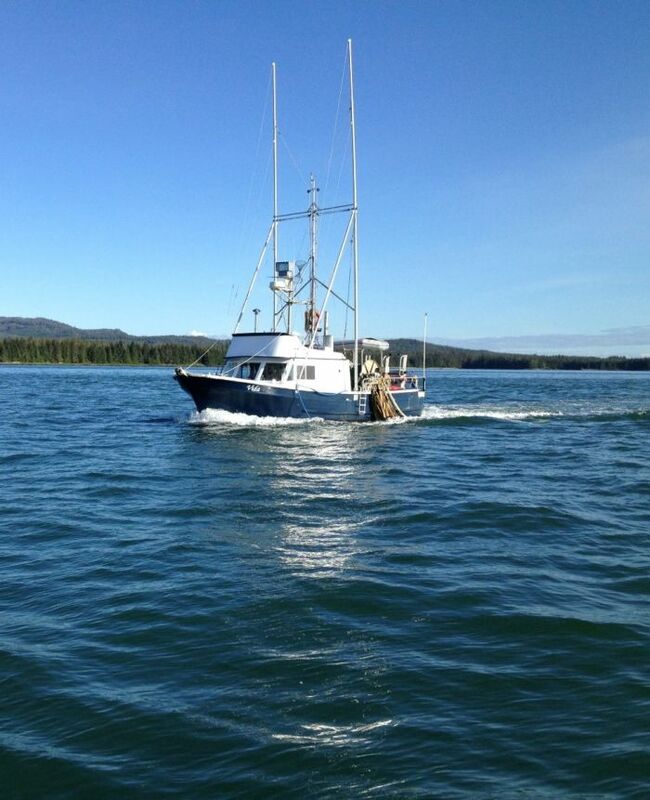 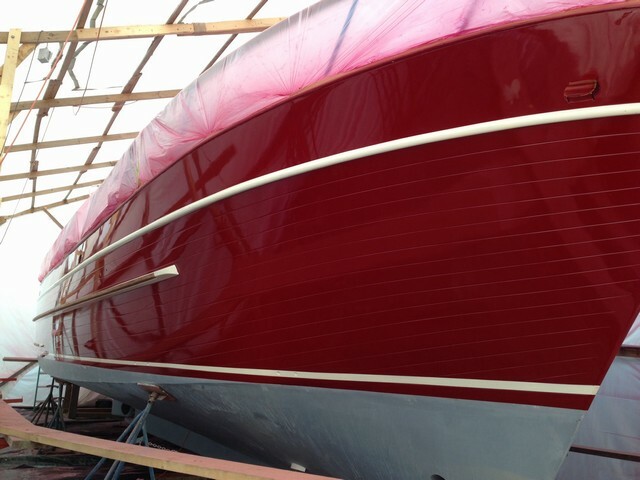 The trunk cabin aft is typically where the tender is carried.